The Dunfermline Christmas lights switch-on. 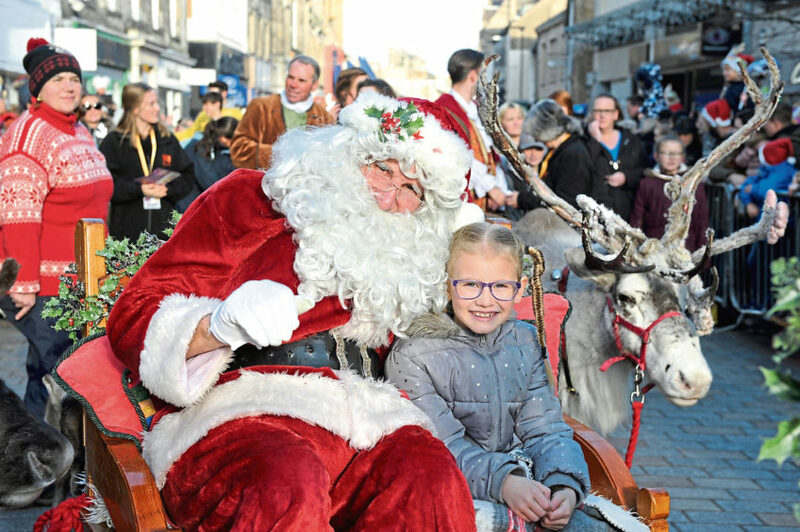 The Christmas festivities kicked off in Fife at the weekend with the help of Santa and his reindeer. Hundreds gathered in Dunfermline for the official Christmas lights switch-on on Saturday afternoon, where the main man with the bag was accompanied by Knockhill supercars. The Thomson family enjoys the festive event. Steve McCrorie entertains at the Dunfermline switch-on. Santa’s sleigh was led through the town centre towards the Glen Gates by Dunfermline Pipe Band and a variety of community groups. 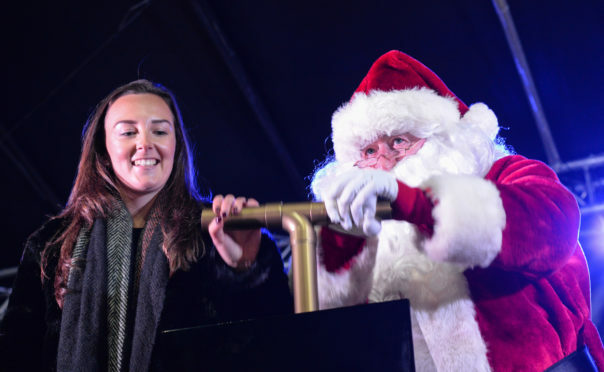 Fife-born football star Caroline Weird, a Scotland squad regular who plays for Manchester City, was on hand to carry out the honour of turning on the dazzling display of lights. 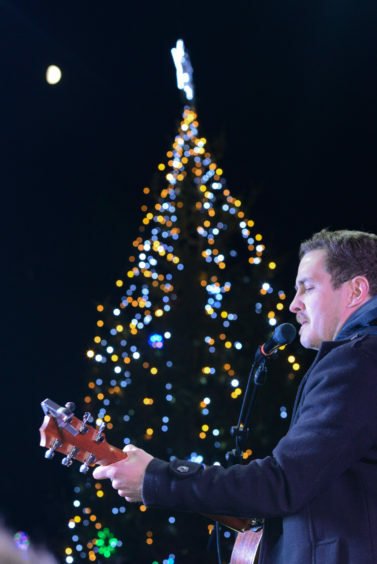 The crowds were kept entertained by local lad and 2015 winner of The Voice UK Stevie McCrorie while the Kingsgate Shopping Centre hosted a Christmas market. Chris Foote, events manager with Dunfermline Delivers, said: “We’re really lucky that Caroline is travelling from Manchester to switch on the Christmas lights. A Saturday off during a busy football season is rare. 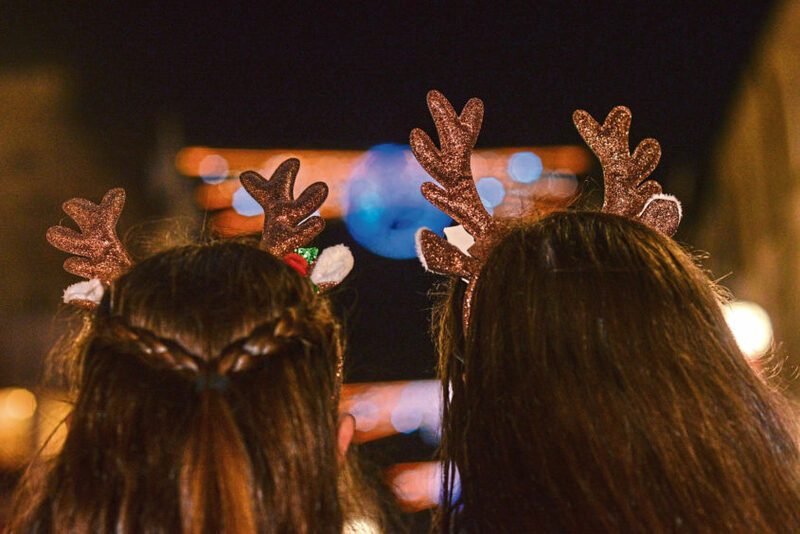 Kirkcaldy’s reindeer parade, now in its 30th year. Santa and his reindeer then took to the streets of Kirkcaldy yesterday for the annual parade, which is celebrating its 30th year. The sleigh was led by the Kirkcaldy and District Pipe Band, much to the delight of families attending the event. The town’s lantern parade and lights switch on will take place next Saturday. The Kingdom Shopping Centre in Glenrothes also had a special guest for their Christmas lights launch in the form of the much-loved children’s character The Gruffalo. 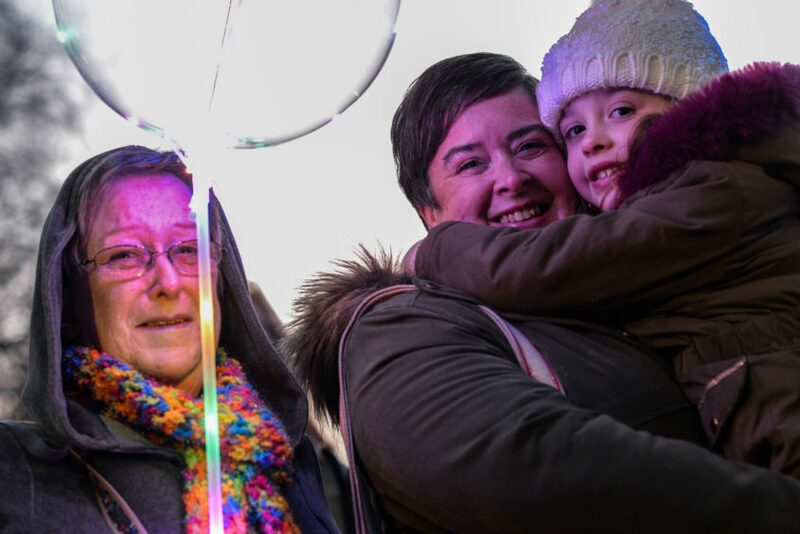 Thousands of people attended Perth’s Christmas switch-on event resulting in an economic boost to the local economy. 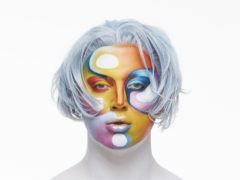 It is estimated a record-breaking crowd of more than last year’s 80,000 people descended on Perth city centre on Saturday, with many local retailers and shops seeing an increase in takings as a result. Star turns Pixie Lott and James Arthur entertained a packed Tay Street after the street lights were switched on and a spectacular fireworks display took place over the river. TV star Stephen Mulhern acted as compere between acts. The day-long party saw a chocolate and gin festival in George Street, vendors lined along High Street and King Edward Street and a funfair and other attractions on Mill Street. Street entertainers moved among the crowds throughout the day and took part in a colourful and noisy festive parade.